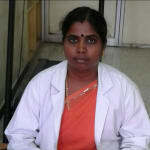 Dr. Guganeswari is a popular Physiotherapist in Nandambakkam, Chennai. She has helped numerous patients in her 18 years of experience as a Physiotherapist. She has done BPT . You can visit her at Restore pediatric And Rehab Centre in Nandambakkam, Chennai. Don’t wait in a queue, book an instant appointment online with Dr. Guganeswari on Lybrate.com. Find numerous Physiotherapists in India from the comfort of your home on Lybrate.com. You will find Physiotherapists with more than 38 years of experience on Lybrate.com. We will help you find the best Physiotherapists online in Chennai. View the profile of medical specialists and their reviews from other patients to make an informed decision. Dr. Guganeswari provides answers that are very helpful. Thanx mam ...they do regular phisotherapy for face exercise. I want one question in this case any medicine work now ?. Because doctor chabra neuro sursan (lucknow, in vivekanand clinic)say no need medicine only exercise will more help. Dr. Guganeswari provides answers that are very helpful. Thanks for the valuable advice. Will get back to you soon. Dr. Guganeswari provides answers that are very helpful. Thank you doctor. Respected doctor I do have lower back pain and stiffness too what should I do to get relief its about a month j m bearing it and I also went to a doctor who gave me some painkillers and a jel but it did not worked and now ots again paining he told that its muscular pain. Hope you will be providing me with right consultancy thank you. Hello sir, my issue is that, when I am running my knee is paining. I am sport player. Please help me to over come. hi sir, u do quadriceps drill and hamstring strengthening exercise daily ur pain will subside slowly. My father met an accident so he had injury in calves muscles as a result he has swollen in that area. What is the solution for that? Please suggest me. Take a x-ray to check whether there is a hair line fracture. If not, then you consult physiotherapist for assessment of the pain and swelling. I got my ankle sprained 2 days ago. Within minutes it got swollen like the size of a potato I could walk for 2 hours with pain but afterwards eveytimr I walked it used to pain a lot. After getting massage from "hadvaidya" ut got better the next time every time I get my leg massage or I keep walking as the vaidya suggest the swelling gets a bit bigger (the swelling's flattened but a bit hard) so what should I do should I keep exercising and walking or should I let it heal by resting it.? Hi sir, first you take x-ray for your ankle. Confirm that there no hair line fracture. Then consult physiotherapist for wax bath to reduce swelling and ankle joint mobilisation. I am getting heel bottom pain since last five months, my weight is 84 kgs, height is 5 feet 7 inches and having bp 140/95, cholesterol little bit high creatinine 1.4. Hi sir, you consult physiotherapist for assessment of your pain. It may be plantar fascitis or calcaneus spur. Check out with an assessment. I am suffering from skin itching last one year. Itching on the foot and hand fingers. Hi sir, you use neem leaves boiled water to wash that itching part two times a day. Slowly your infection will subside. Hello I am suffering with severe lower back pain. Which is even migrating to my legs as well. It’s very hurting. I am currently staying at europe. So it’s quite difficult for me to consult any doctors here. Kindly suggest something as a home remedy so that would be more helpful for me. Assessment is needed whether you have sciatica or not. If it's only muscular then do back muscles stretcting exercise and hamstring stretching regularly your pain will subside slowly. Hello doctors. I have a back pain. When I stands up for some time the lower back starts paining if I try to sit. And all the time upper back throughout the spinal cord I feel sweet pain. Beside this I feel to sleep as if I am tired on day time. And my neck and leg muscles pains all the day. You consult physiotherapist for assessment of your pain then proceed with the treatment. Do back muscles strengthening exercise daily. I am suffering from severe back ache before 5 days of my menstrual cycle and it lasts for almost 10 days. I am facing this issue from past 1 year. First time I got this back pain is when I played badminton for 2 hours continuously. Please help me how to get rid of this pain. Thanks a ton. Hi mam, hot water fermentation for pain. You do back muscles strengthening and stretching exercise regularly. Sir. I have a problem with driving bike. Before 2 year I am a collection agent in a bank and I drive more than 70 km in a day. Now I have a shop and only driving bike below 50 km. But now times I have pain in my leg lower kne and hand joint. I do not know why this pain? The pain is because of your stress on the joints. Consult physiotherapist for assessment of the pain and then proceed with the treatment. Msg me through private chat I will help you.